Sans franchement savoir pourquoi j’ai toujours entretenu une sorte d’affection pour les films américains des années 80/90, ils ont ce charme de l’ancien sans avoir encore été pris par le tourbillon du renouveau qui leur collerait l’étiquette désormais mainstream mais branché de vintage. 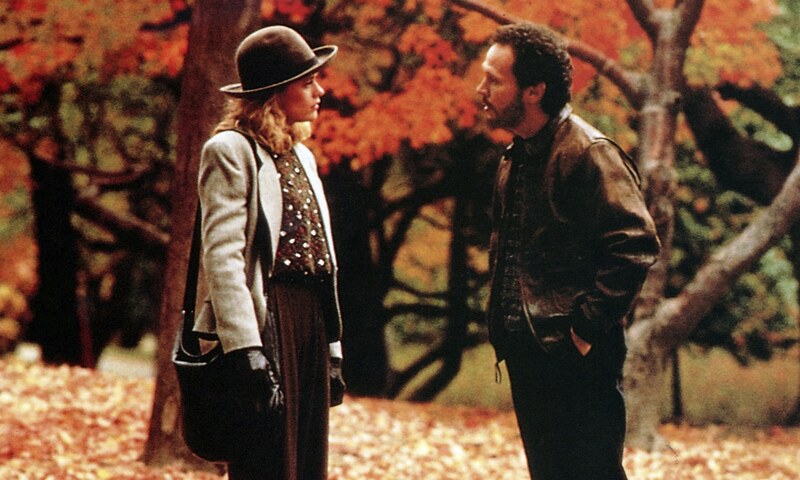 Quand Harry rencontre Sally fait partie de ses films. A la base une histoire qui ne sort pas franchement de l’ordinaire : celle d’un homme et d’une femme qui se rencontrent, se détestent puis se lient d’amitié à travers les années. 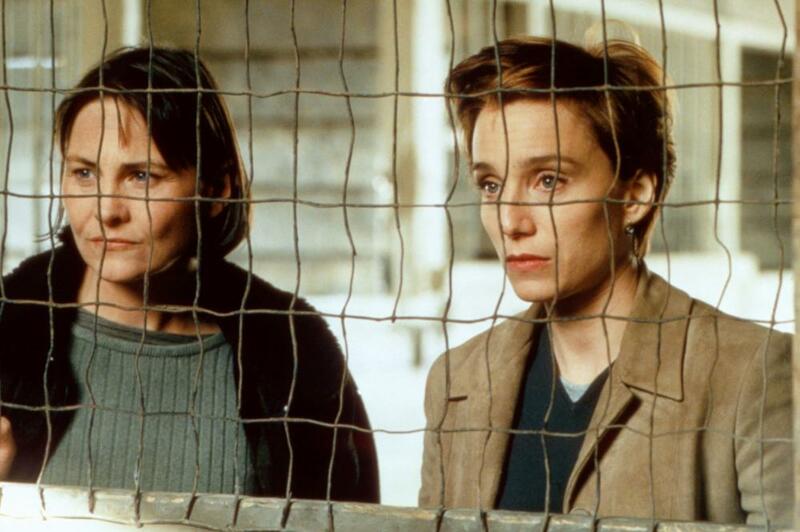 La question soulevée par le film est celle de cette amitié, donc, qui les unie, mais aussi celle de l’amitié entre les hommes et les femmes en général. Le génie du film repose sur les personnages et la construction des dialogues. Je me souviens avoir admiré longtemps la façon de Sally de commander ses plats ou bien encore la répartie de Harry. Je me souviens avoir ris des blagues potaches du film et surtout je me souviens de cette scène culte du dont je ne dirais rien, on ne sait jamais. 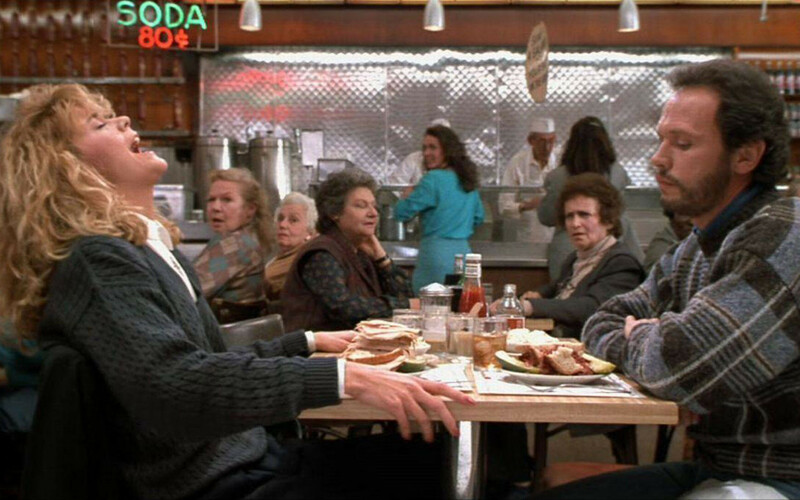 Le film sorti en 1989 fait suite à la séparation du réalisateur Rob Reiner, dont le personnage de Harry est inspiré, et scénarisé par Nora Ephron, dont Sally est elle aussi inspirée. Deux personnages parfois caricaturaux pour les besoins du film mais jamais lourds ni dérangeant, attachant pour leurs qualités mais surtout leurs défauts. Et Meg Ryan et Billy Crystal portent remarquablement bien ses personnages qui leur offrent la possibilité de briller joyeusement face à la caméra, de mettre en valeur des dialogues ciselés et délicieux, à la dynamique enchanteresse, douce et drôle dans nos oreilles de spectateurs. Ici Quand Harry rencontre Sally nous offre tous les bienfaits d’une comédie romantique new-yorkaise décomplexée et rafraichissante. Que ce soit le flegme de Harry ou la quasi hystérie de Sally, les dialogues qui auraient pu n’avoir été que des extraits de manuels de sociologie mal retranscrit font sens encore aujourd’hui dans un questionnement qui n’a de cesse de turlupiner les relations humaines. Et bien que le dernier sursaut du film soit attendu il est bien mis en scène, délicat mais toujours humoristique sans en faire trop et accompagné par du jazz qui transforme la ville en muse, en théâtre de cette histoire simple et attachante. Il est sympathique de voir deux personnages être amis puis amants sans qu’une folle passion, un romantisme exorbité ou une sexualité débridée ne vienne entraver le développement de leur histoire. Bien que l’intrigue soit faible l’enjeu est bien présent tout au long du film. Ce film est un bijou qui fait tout aussi bien écho à un Woody Allen en forme qu’à des schémas (tout en en évitant les écueils) de la comédie romantique typique hollywoodienne. Le film a une personnalité forte, le propos est intelligent, les personnages sont portés par d’excellents acteurs qui subliment les dialogues et la réalisation n’a rien à voir celle des comédies romantiques insipides de nos jours. Pas de prise de tête, un film « feel good » qui mérite sa renommée et bien plus. The Horse Whisperer : not just about horses. As long as I can remember “The Horse Whisperer” is probably the first “real” movie I’ve ever seen besides the Walt Disney one and Flipper. I was and I’m still passionate about horses and as a little girl I was really interested to see this movie. And now, even if I have it on DVD I feel like I have to watch it every time it is on television. Through the years the way I used to watch this movie has changed a lot. And it happened that I missed a lot of the story as a little girl. 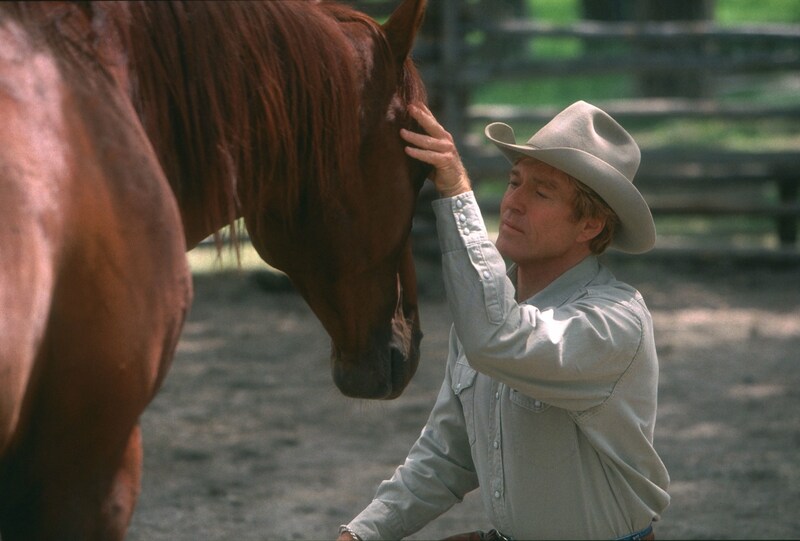 I was way more focus on this 12 years old girl played by Scarlett Johansson and his horse than on his annoying mother (Kristin Scott Thomas) and this weird guy (Robert Redford) who really impressed me and was able to communicate somehow with horses. Now I can see how important the relationship between those three characters is important besides the whole accident thing. The story began with Grace, this pretty and happy young girl, having a horse accident where her best friend, Judith, died. Grace loose a leg and all of his happiness, she doesn’t want to fight and soon his parents fight each other to try to figure how to help her: push her or let her take time. At the same time, Grace’s horse, Pilgrim, has been badly injured in the accident and he is traumatised, it is like a soldier suffering from a severe PTSD: he became violent, fearful and recalcitrant. In a weird way the girl and the horse start to look like each other, hurt physically and mentally by their accident. Grace: I’ve decided about Pilgrim. Grace: I think we should put him down. It’s not fair to let him suffer. So Annie, the mother still moving, running, doing stuff and incapable to wait and see, incapable of patience, disappointed and powerless in her daughter decide to purchase a famous “horse whisperer” who can apparently heal the horse and his rider at the same time. Even if he first refuses to take care of Pilgrim and Grace (and we can understand when we see how the mother ask him to take her of his family) Annie decide to leave New York and take Grace against his will and Pilgrim to a long journey to Montana. 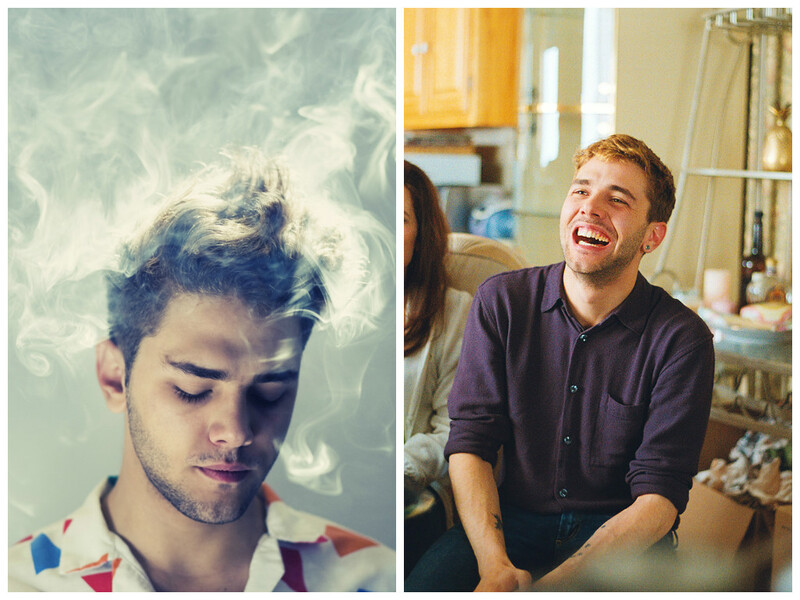 We can see and feel and difference between New York and the Montana. Even if Grace is first grumpy, unhappy to help, and recalcitrant to do anything who can reminds her the accident, ashamed of his plastic leg we can see that some changes are going on. The atmosphere is completely different and all the characters will be changed, one way or another, at some point. And a discrete and very well written love story begin. Tom Booker: [over the phone] Am I being too polite here when I say no in Nevada? Does that mean yes where you are? There is a lot of thing I like about this movie and before it was a movie it was first a really good book written by Nicholas Evans. Like in every adaptation from a book to a movie there is a lot missing but Robert Redford, who also directed the movie in addition to be an actor in it, succeed in keeping the atmosphere of the book on. And he succeed as well by filming perfectly the accident scene, dramatic but simple, soft. And you have it in your hand during all the movie. It is stuck in your head as it is probably stuck in Grace’s head. It is really a beautiful movie well directed with an amazing cast. 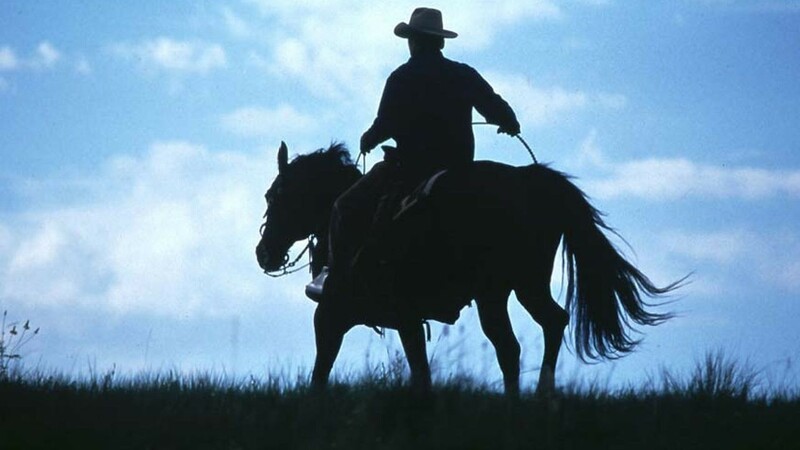 Just an advice: it is not a film for people crazy about horses. If you think that, you probably missed a lot! 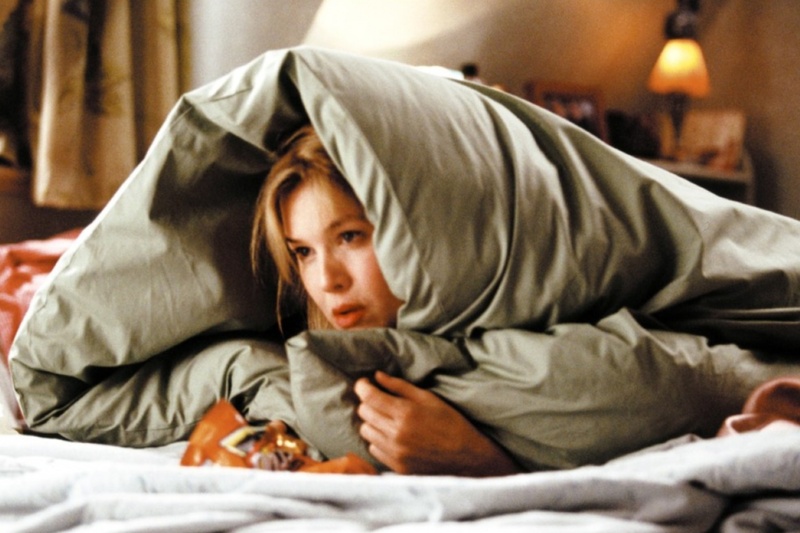 How to watch a romantic comedy ? First of all you need a rainy day, if you have nothing to do it is the best, Sunday will be the best. You also need a sofa, comfortable with a lot of pillows, a very soft blanket in a place where you feel good: your room, living room, parent’s room, wherever you want, just make sure to not be disturb. You can try to build a cabin or stay in your comfortable catch. Just make sure that everyone can have a great seat. Invite one or two of your best friends to join you. Pyjama is one of your friend too. Food is very important. Obviously popcorn are compulsory but you can make or ask your friends to bring some other food. For instance I’m thinking about chocolate cake, cupcakes, crepes and pancakes. 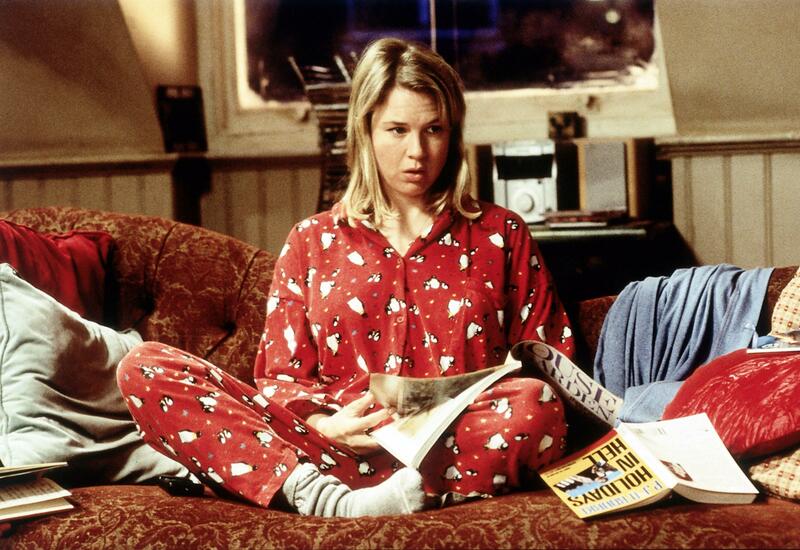 And Ice Cream, because when you watch a romantic comedy Bridget Jones becomes your model, an ideal to follow. The lights. You don’t have to be in very dark place with all of your lights off. Keep this for horror movies. Just make sure that it is kind of magic, friendly and romantic. Be in a good mood. If you are in a bad mood you probably just want to cry watching a very sad movie and complaining about your life. But for a romantic comedy you need to have what I call the “Mojo”. The Mojo is a state of mind where you are ready to party, to laugh, briefly a state of mind where you are actually happy and inclined to do a lot of funny stuff. 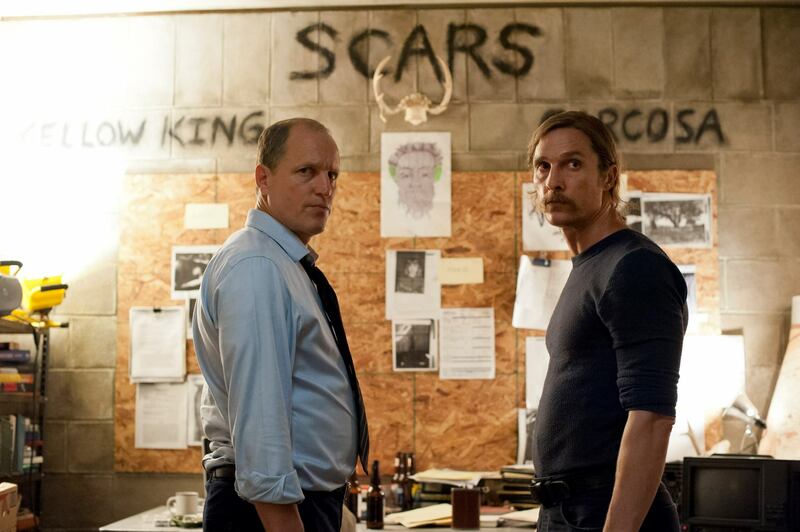 True Detective : Just Better Than A Movie. 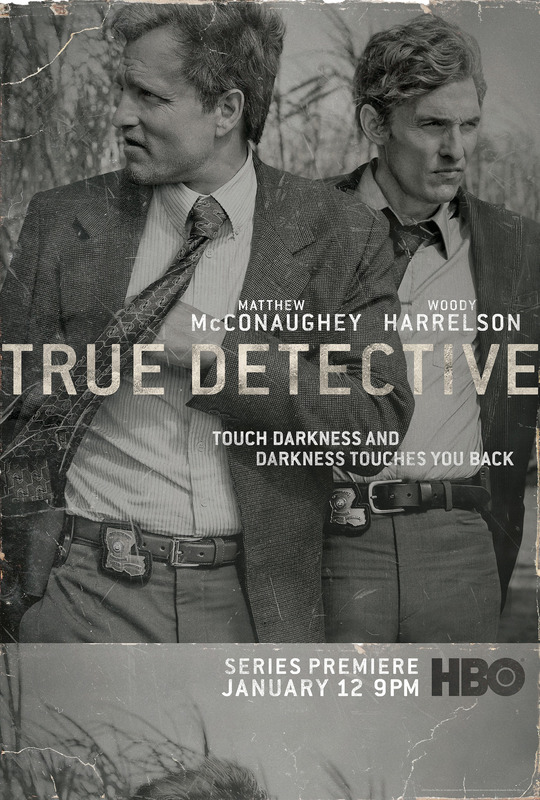 True Detective is a television series broadcast on HBO since January 2014. The series follow two detectives on an investigation on several murders from 1995 to 2012. We hear then describe separately during a interrogatory how they hunt a serial killer and how this criminal investigation have influence their life somehow. 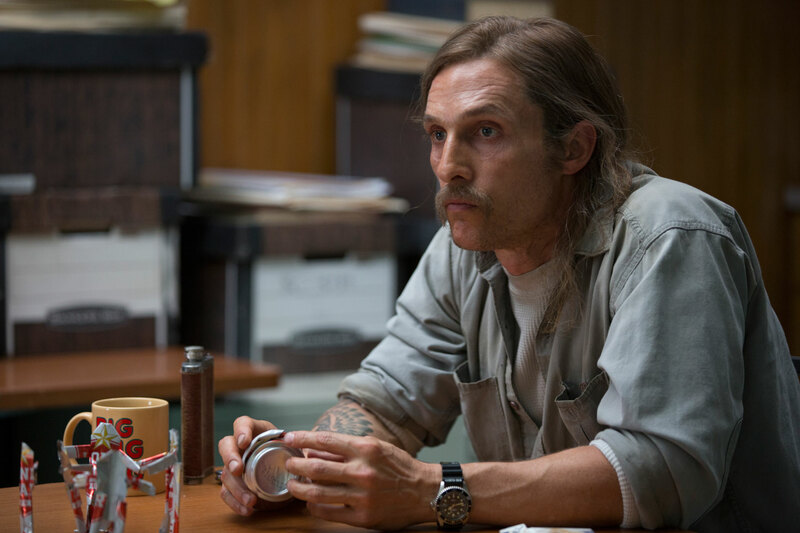 I’m here to talk about movies and True Detective isn’t but I just want to emphasize the fact that since 10 years, maybe more, the quality of TV Series is quiet good, so good that it can compete with the cinema and the movies. And True Detective for instance is one of the best series I ever watched. Each episode is like a very good short movie. And it is magnificent and the story can be spread in every episode, the details are work through a story who keep you amazed. 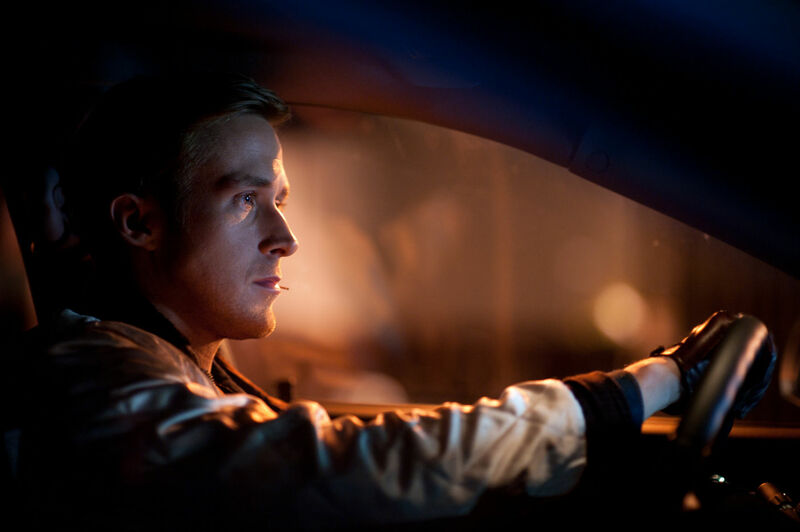 The actors come from the cinema industry, the resources made available create a cinematic performance. One thing made me realise it was definitely really good during the first season, episode 4: the six minutes long take where we follow Rust during a violent scene. (I won’t say too much about this). It start at 1’58. Also the character played by Matthew McConaughey could just have been boring, cliché, his lines are very dramatic, it could have been just ridiculous but the director, the scenario plus McConaughey have just made Rust’s characters powerful, kind of creepy probably, but true, direct, strong and besides the fact that he is somehow a little bit crazy, one of the most memorable and well played character in the TV history. 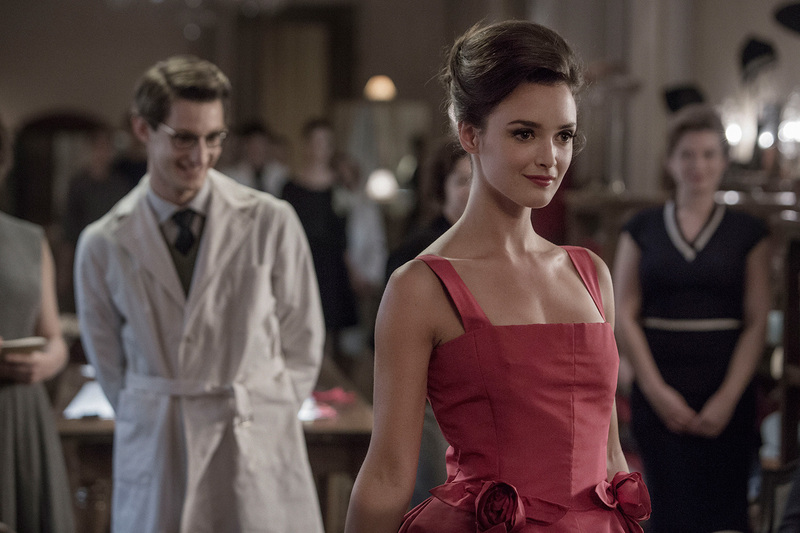 But beside the oppressive atmosphere, the visual intensity and the remarkable work of the writers and director Cary Fukanaga, the show is based on the two main characters, the ensemble performance made the show unforgettable. 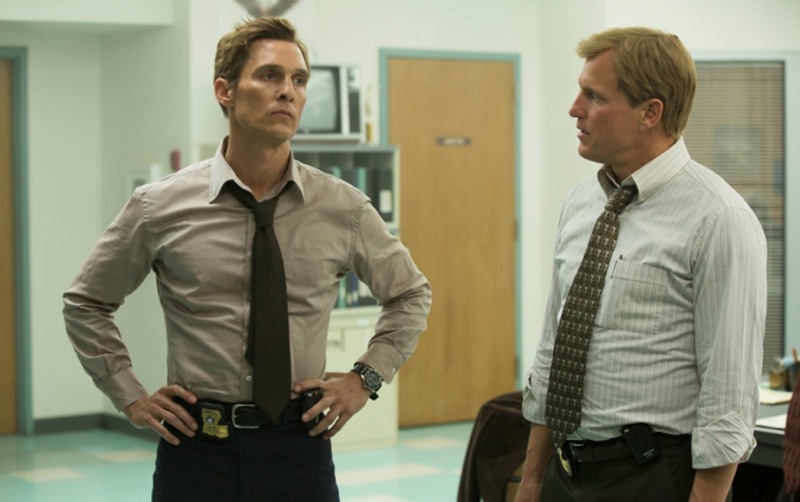 McConaughey and Harrelson’s performance together (and not just as separate actors and characters) is pretty amazing. Friends in real life, the chemistry on screen is here and the relationship between those two is a perfect match. They don’t play ‘good cop, bad cop’ they play something who look like a real relationship between two cops, struggling with their investigation and private life. We are now waiting for the second season, it should be broadcast during summer 2015 starting a very interesting cast (including Colin Farrell who might know the same success as McConaughey who needed to revive his career after some bad movies, not as promising as the critical success of his first movies). The action should take place in California and be different but keeping what made it successful though. 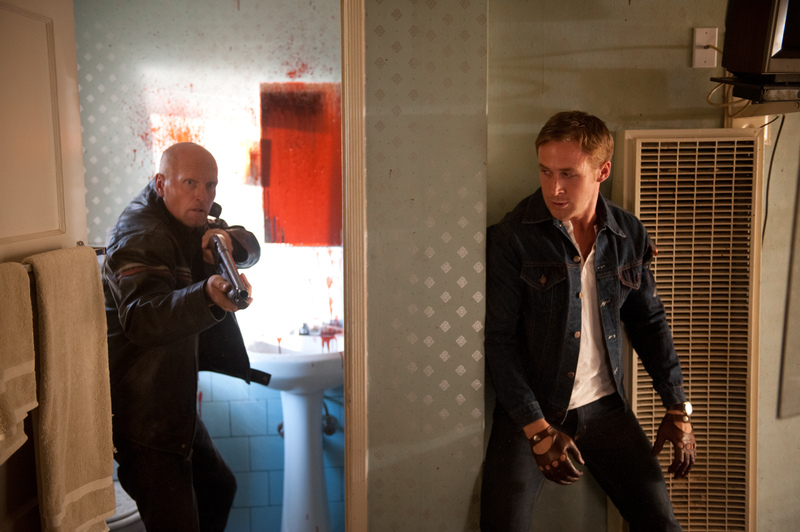 What Mommy his about: It’s a love story between a single mum Diane and his son Steve, a troubled boy sometimes violent. Soon Diane received help from his neighbours Kyla, a former very quiet teacher. He just make this movie with all his heart, with something that made it magic. He tells a universal story: a mother’s love for his son. He don’t play with the spectator feeling, he just communicates. It just take your breath away. He is just a genius, an incredible director and a movie such as Mommy can only exist threw eyes with as many as he have. The cast is just awesome. Anne Dorval who is used to work with Dolan is just an incredible, crazy, loving mum. Antoine Olivier Pilon show a massive talent by playing Steve, and he is only 17. And what about Suzanne Clément also used to work with Dolan. His part is one of the most difficult to play in this movie however she is just amazing. One moment in particular amazed me, the one where they are all dancing in the kitchen with a Celine Dion’s song. I was not a big fan of her but since I saw Mommy I can’t stop playing “On ne change pas” all the time. The film is presented in the 1:1 aspect ratio which is kind of risky but it gives power to the movie and it’s not a random choice. The spectator is truly focus on what happen on screen and only on the interesting part. Cannes is what made the film became a huge success. It received the Jury Prize and Dolan just made a perfect speech. First he thanked Jane Campion and then he spoke directly to his generation. I know that it is not entirely about the movie but I find so emotional, touching and true that I said myself that I would be a mistake to not watch a movie with such a director who seems to understand and believe in the world we live in. 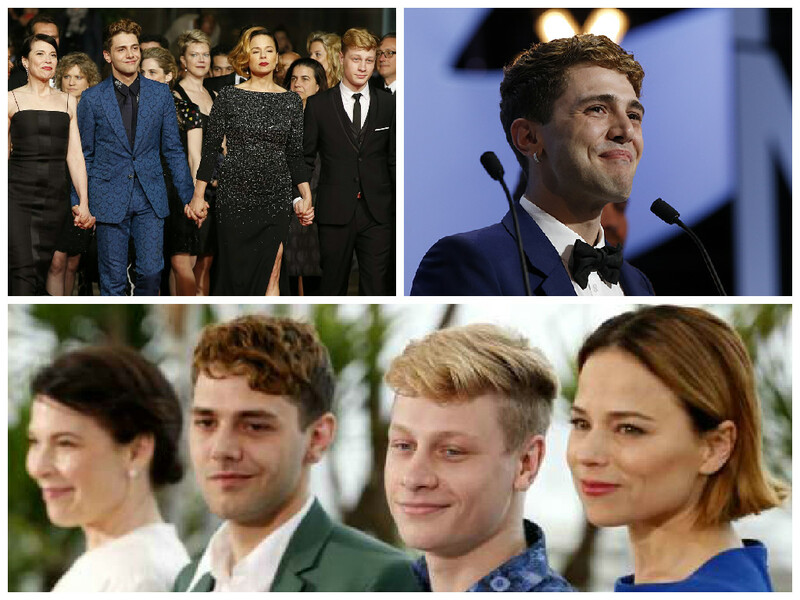 – Kristen Stewart becomes the first American actress to win a Cesar. 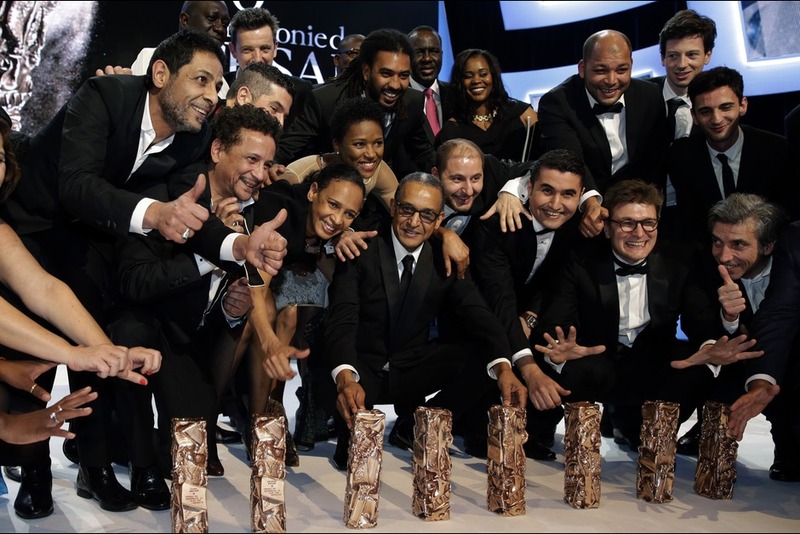 – Timbuktu won 7 Cesar including best movie and best director. – Les Combattants cast is good : two Cesar, one for Adele Haenel as Best Actress and the other for Kevin Azais as Best Male Newcomer. – Sean Penn was given an Honorary Cesar for his entire and successful career by Marion Cotillard. 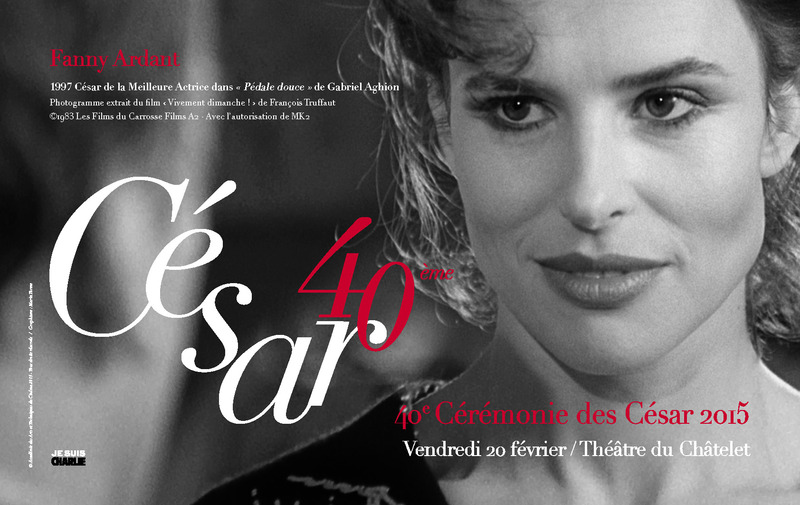 – Edouard Baer has hosted one of the most entertaining Cesar Ceremony. – Pierre Niney’s speech was true, touching and modern.